It doesn't seem five minutes since I reviewed Deep Purple's 'Live At Montreux' release which, like this, was recorded in 2011. Also like this, it was performed with an orchestra. And it had a set-list like this – EXACTLY like this. Yes, Purple release a great deal of live material, but what's the point of another show from the same tour? Setting things right would be my guess. Purple pioneered the whole Rock band/orchestra thing and the Montreux show was great, with the exception of Ian Gillan's performance. The vocalist struggled badly with anything in his upper register and meant the show was not what it should have been. Realistically, I'm not expecting Gillan to be able to hit every soaring note he nailed in the 1970s. The amount of singers who can do that at his age I can count on one hand and still have enough fingers left for a couple of rude gestures. However on that particular night, he was far from his best. I'm not somebody who judges them on one night and says 'Yeah, he's past it, his voice has gone.' He could easily have been under the weather and his performance at the Jon Lord tribute concert was much more like what I expect from him nowadays. 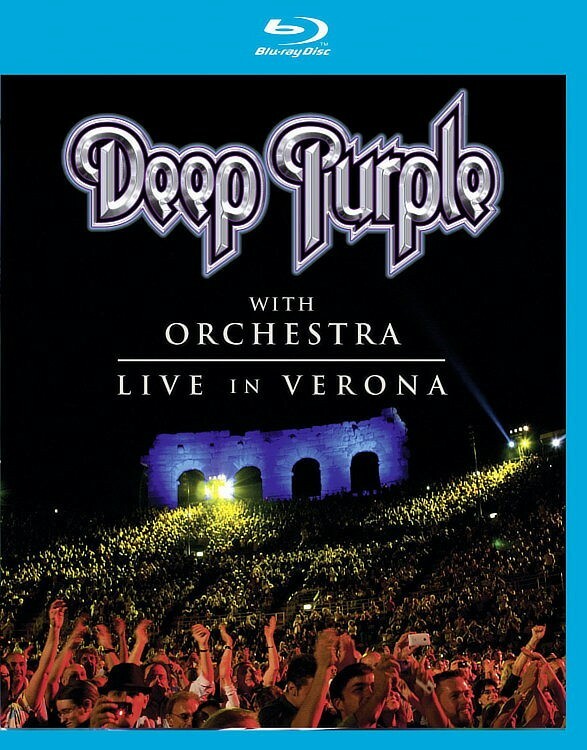 'Live In Verona' is superior to the Montreux show in every conceivable way. The orchestra, conducted by Stephen Bentley-Klein, plays superbly and they mix so well with the band that often it feels just like a really full-sounding Purple show. The songs sound rich as a result and the venue is stunning, making for a far better visual than the Montreux show. Purple play exquisitely and as for Gillan, he sings his heart out. His performances here are some of the best he has delivered in recent times. When Purple open with 'Highway Star' you can usually see how Gillan is going to be by how he handles that number. Here he performs it with gusto. Yes, the highest screams elude him, but the rest of his range sounds great. The lower songs like 'Maybe I'm A Leo' work beautifully and his delivery of 'When A Blind Man Cries' is excellent. The other major selling point is that the audience is really into the performance and the band reflects that. I've seldom seen Purple grin as much as they do throughout this show and the energetic encore of 'Hush' encapsulates that perfectly. 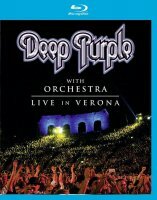 With a killer set delivered by highly skilled professionals in enthusiastic form, 'Live In Verona' is the most enjoyable Purple live recording I've witnessed for ages.